ViewSonic VA705b - 17" monitor, black LCD display, 1280x1024, 250 NITS, 1000: 1 contrast ratio. 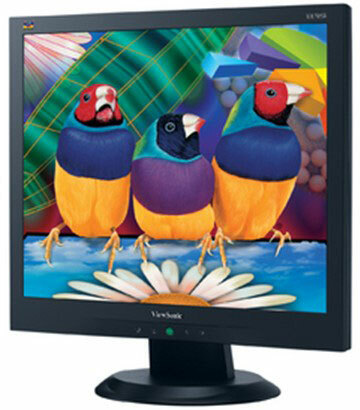 Using only 21W of power, the ViewSonic 17" VA705b LCD delivers impressive front-of-screen performance thanks to fast 5MS video response, 280 nits of brightness (typ) and a 1000: 1 contrast ratio (typ). The VA705b delivers crystal-clear graphics and smooth, full-motion video in brilliant color. The OSD power lock secures your screen settings and the Kensington security port provides theft deterrence. The stylish, slim bezel makes the VA705b an easy fit with any desktop decor while saving valuable desktop real estate. Home users, small office, education and government users will find that the elegant, affordable and energy saving VA705b is an ideal fit.